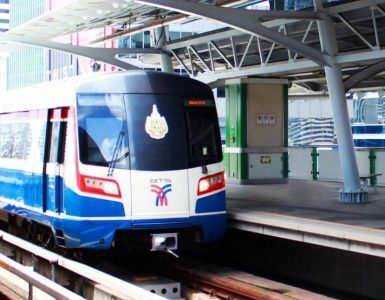 It’s time to relax and travel to Bangkok for an urban city adventure. Whatever you have in mind for your preferred Bangkok escape — from creative cocktails by the pool to a traditional Thai massage — there is sure to be something for you to enjoy at Novotel Bangkok Ploenchit Sukhumvit. A perfect place to relax and unwind, our hotel has some of the best hotel deals in Bangkok. At Novotel Bangkok Ploenchit Sukhumvit, each of 370 contemporary guestrooms and spacious suites boasts great city views and modern amenities. Sink into the comfort of our unique bedding, enjoy a relaxing soak in the bathtub of your suite and savour all-day refreshments and evening happy hours. It’s guaranteed to be a hotel stay of great value in Bangkok you won’t soon forget. Learn more about our hotel deals and book today! Whether you are staying in Bangkok for business or leisure, our Advance Saver lets you enjoy up to 10% discount off from the regular room rate. All you have to do is plan your trip in Bangkok a little head of time — a mere three days in advance — and you’ll receive this special offer alongside complimentary Wi-Fi. A simple, elegant stay in the central of Bangkok city, voila. We not only value loyalty at Novotel Bangkok Ploenchit Sukhumvit, but we also reward them. And that is why Accor Plus members can benefit from sweet hotel deals such as our Member Exclusive Offer. Aside from a 10% discount off from the members’ only room rate, you’ll get to earn points and build status-related rewards that reflect your loyalty. This all goes towards complimentary overnight stays, dream holidays and outstanding events in the future. 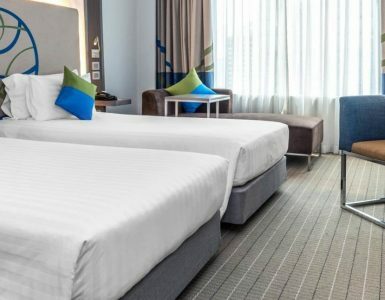 Located steps away from the BTS SkyTrain Ploenchit Station, Novotel Bangkok Ploenchit Sukhumvit is designed to help you find your way around the City of Angels. Check out our room selections and book your next trip to Bangkok now.